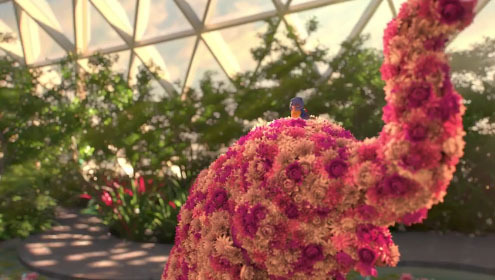 Jewel Changi Airport has unveiled its new brand film which takes viewers through the lens of its “first visitors” amongst lush landscaping and unique play attractions in an animated film created by Ogilvy Singapore. 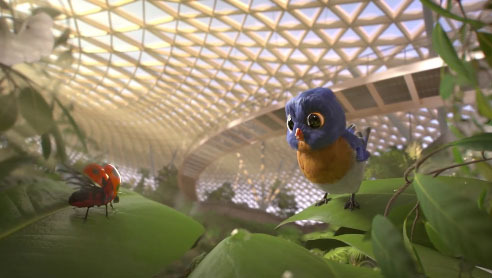 The stars of the film, and Jewel’s “first visitors”, are two little creatures – a Pacific Swallow and a ladybug. Their story of friendship and adventure is captured in the film before the world-class tourist destination opens its doors to the public on 17 April 2019. “The film brings to life the wondrous possibilities one can find in Jewel, where we welcome our first pair of visitors – a pacific swallow and a ladybird, set against Jewel’s magnificent backdrop. The brand film provides a sneak peek of Jewel and we look forward to creating wondrous moments for all our visitors when we open”, said Joyce Tan, Head, Corporate & Marketing Communications, Jewel Changi Airport Devt. The animated film was a year in the making, with each play attraction within Jewel rendered from scratch to be as realistic as possible. The incredible attention to detail was depicted in the film from the way the mist on the Canopy Bridge disperses as the Pacific Swallow swoops across, to the accuracy of plant species housed in Jewel, right down to how a leaf should tilt.